In the twenty-third century, the universe is threatened by evil. The only hope for mankind is the Fifth Element, who comes to Earth every five thousand years to protect the humans with four stones of the four elements: fire, water, Earth and air. 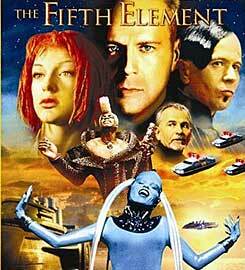 A Mondoshawan spacecraft is bringing The Fifth Element back to Earth but it is destroyed by the evil Mangalores. 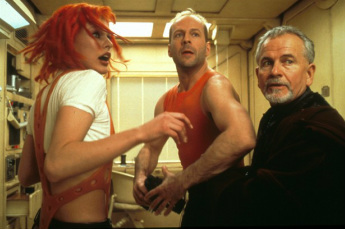 However, a team of scientists use the DNA of the remains of the Fifth Element to rebuild the perfect being called Leeloo. She escapes from the laboratory and stumbles upon the taxi driver and former elite commando major Korben Dallas that helps her to escape from the police. Leeloo tells him that she must meet Father Vito Cornelius to accomplish her mission. 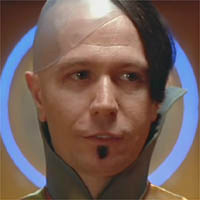 Meanwhile, the Evil uses the greedy and cruel Jean-Baptiste Emanuel Zorg and a team of mercenary Mangalores to retrieve the stones and avoid the protection of Leeloo. But the skilled Korben Dallas has fallen in love with Leeloo and decides to help her to retrieve the stones. To “read” a film is to analyse how that film uses images and sounds to tell a story and powerfully affect the audience’s thoughts and feelings about that story. As viewers we are conditioned to respond in a particular way to various images and stylistic devices. eg: become more aware of the unconscious affect it has upon us. To ‘read’ a film means to understand, interpret and analyse a particular film. NARRATIVE + VISUAL STYLE = FILM of fascinating themes, powerful emotions and complex characters. The art of using a camera to record visual images on film for the cinema. Cinematography is an art form because it involves making decisions about how a shot is framed and how long it lasts. Other aspects of cinematography include sound, lighting, camera angles, and the scenery and costumes. The definition of shot sizes depends on the subject of the shot. A close-up of an elephant is very different from a close-up of an ant! Most definitions work on a human scale. They define the size of the shot according to how much of the human body can be fitted into the frame. Establishing a shot: is traditionally a long shot or an extreme long shot. It establishes where the action will take place (the location of the narrative). It shows the characters in their landscape. Sound is a source of significant meaning for the visuals in a film. Sound is nearly always present in a film, whether it consists of dialogue, sound effects or music. It is worth noting when silence is used in films, since it is actually very unusual to have a total silence in a film. As a result total silence can have a very powerful affect in film. Sound gives meaning to the visuals, to direct the audience’s attention toward specific visuals, and to create expectations about what is going to happen next. Sound can make the meaning of the visuals more definite. E.g. : dog snarling – menace. Actors or objects that we are meant to pay attention to will emit a sound of some kind to grab the viewer’s attention. The audience plays closer attention to the character speaking than to the surrounding setting. Did you know that a ticking bomb holds audience interest longer than any other prop? Sound has the power to anticipate visuals. Filmmakers use this to create a sense of expectation in the viewer. It can also be used to create false expectations to illicit confusion or mystery from the audience. Music strongly influences how a particular scene affects the audience. The VOLUME of sound is how loud or soft it is. PITCH refers to how high or low the frequency of a sound is. TIMBRE is the term used by musicians to describe the tone or "warmth" of sound. Collision of images is the process of editing images together to suggest an idea in the minds of the audience that is not actually present in either image on its own. 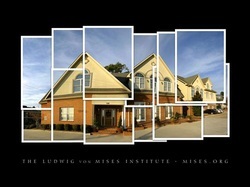 Each image contains ideas and meanings. If separate shots with different meanings are placed side by side — even if they mean opposite things — then a third meaning can arise. Are used to depict long passages of time. A montage sequence is traditionally composed of a series of quick shots that are edited together by short dissolves accompanied by music. Click to see to YouTube footage of Hungry Eyes. They feel things. They hear things. They say things. They go places. They can walk, run, leap and jumpThey may sit in a rocking chair. They may just lie in bed, sleep, dream. We use descriptive adjectives that tell us specific qualities of the character. They’re the same kinds of words that we might use to describe ourselves or others, but we’re using them to describe fictional characters. The director may tell us these traits directly but more often, the director will SHOW the audience these traits in action. What is action? Action in and of itself is not DRAMATIC. What is Dramatic Action? The dramatic action of a story must be FORWARD MOVING. It is usually something large that disrupts a person's normal routine, throwing them off the course of their normal life. The character must confront and/or conquer the unexpected problem or suffer generally dire consequences. DRAMATIC ACTION WRITERS develop complex and compelling stories by focusing on: conflict, tension, suspense, curiosity. EXPOSITION - provides background information needed to properly understand the story, such as: the problem at the beginning of the story, the characters and setting. RISING ACTION - during the rising action, the basic internal conflict is complicated through the introduction of related secondary conflicts, including: various obstacles that frustrate the protagonist's attempt to reach their goals, or adversaries. CLIMAX - this is the turning point, something that mark's a change (for the better or worse) in the protagonist's affairs. If the story is a tragedy, things (generally) will go from good to bad for the protagonist. FALLING ACTION - during the falling action, the conflict between the protagonist and antagonist unravels, with the protagonist winning or losing against the antagonist. DENOUNCEMENT, RESOLUTION OR CATASTROPHE - comprises of the falling action and the actual ending scene of the drama or narrative. Thus serves as the conclusion of the story. When a prisoner escapes, a group of geeky kids go on the rampage. A bored lawyer works for a paranoid alien investigator. The story is concluded by a meeting. A political activist is framed for a revenge plot. A housewife has 24 hours to solve a mystery. The circumstances are extended by a ticking bomb. An heroic Sunday school teacher has 24 hours to rescue a hostage. The story is extended by the reading of a will. A bored musician is the subject of a conspiracy. 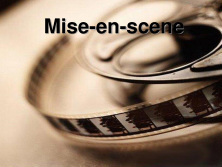 MISE EN SCENE is a French Expression that means ‘staging an action’. It usually works subtly on viewer’s emotional and intellectual responses without them necessarily consciously noticing how this is being done, and can be used to create symbolism for character traits, themes and social values. By learning to look at a film analytically, we can see how each element can be used by filmmakers to ‘position’ the viewer, cueing them into much more than the mere surface meaning of the film. The setting is the physical location of the film – the countryside, the city, the room, a futuristic place. Naturally, most films have more than one setting and the various characters travel from one setting to another. ◦ Can be used to represent an extension of a character’s state of mind (for example, walking in the rain may convey sadness, whereas an adult basking on a sunlit beach might convey joy). Props are objects that appear in the setting. They often provide clues about the characters and can reappear from scene to scene and setting to setting. Repeated images are called MOTIFS. A motif is anything repeatedly used in a film to define or explain a character or suggest a theme. 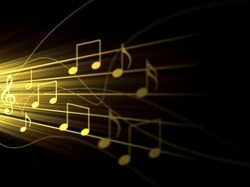 A sound or musical phases can also be motifs. The opening scene of Ridley Scott’s Blade Runner contains frequent close-ups of a human eye, cluing the viewer into the theme of perception and the film’s questioning of how we perceive what makes us human. It is also a clue to the fact that the replicants (non-human characters in Blade Runner) can be subtly indentified by their different eyes. Click the image to view the opening scene. Download the worksheet below to finalise the class activity from Period 7 - Tuesday 23rd October 2012. Is the manipulation of light to selectively highlight specific elements in each scene so that they appear in a particular way. This is one of the most complex and powerful techniques that filmmakers use to create atmosphere and meaning. The absence of light when shadows are used. 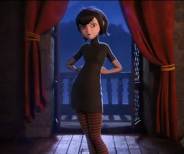 Costume design is the fabrication of apparel apparel for the overall appearance of a character or performer. This usually involves researching, designing and building the actual items from conception. Costumes may be for a theater or cinema performance. 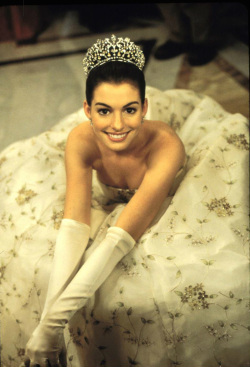 Four types of costumes are used in theatrical design, Historical, fantastic, dance, and modern. Actors portray their feeling, motives, attitudes and state of mind of characters by manipulating their facial expressions, posture, voice and gestures. What do we look for in an actor when analysing film? We should discuss anything an actor does that is not actual dialogue or action. We need to look for all the subtle, and not so subtle, mannerisms, expressions and body language.